Human skin have to face with sunlight everyday.Sometimes, women do not know exactly about dangerous of the sunlight. 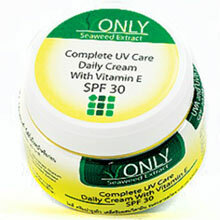 Nowadays, it had been found that sunlight does not only darken skin, but makes many fine lines and wrinkle skin problems. Co-enzyme Q-10 can be self-synthesized by human body. It is very significant substance to empower skin cell and prevent collagen destruction. Co-enzyme Q-10 will be less created at more ages. Therefore, the body needs additional Coenzyme Q-10 from outside. The nighttime skin care cream products with concentrated Co-enzyme Q-10 can effectively response to the skin lacking of its natural one. 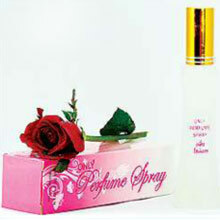 It can smoothen, tighten and strengthen for visible younger look. contain the stable Vitamin C, mushroom extract and aloe vera extract. The new innovation product with the high benefit for skin. Vitamin C make skin brighten and tighten.Mushroom extract make skin lighten and pore minimizing and aloe vera extract has the function for anti-inflammation,antiirritation and solubilize the clog pore. The new anti-melasma cream was intended for the who has the problem of melasma, hyperpigmentation, black spot and freckles. This innovation cream combine the new active ingredients such as alpha arbutin,kojic acid,glycolic,Vitamin B3, Vitamin E.
ONLY body lotion, with Vitamin E and pure brown alga extract, enriches with value of Vitamin E and brown alga extract, coperforming to enrich total body skin for diminishing or eliminate the wrinkle. 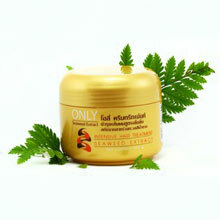 By frequently usage, your skin will be smoothen, glow and younger look. contain tea tree oil that has the function of anti-inflammation which cause the acne and contain microfined titanium dioxide that protect skin from the sun damage and microfined powder that can cover for the black spots. The kaffir lime contain the limonene that benefit to the hair fiber .It help repair and strengthen hair fiber and it also reduce the dandruff. The aloe vera extract contain the aloctin A and aloctin B that benefit to the hair fiber.It help the hair’s root and hair shaft to more healthy. The new anti-dandruff contain the effectively active ingredient is Piroctone Olamine.It can get rid of the dandruff and moisturizing your hair. Oily skin caused by over Sebum (oil) creating from the Sebaceous (oil) glands. The root causes may be heredity, hormone conditions, food, or external environment. Oily skin creates some other consequences such as pimples problems, due to the too much Sebum may clog the hairchannel, then caused of inflame and became pimple finally. 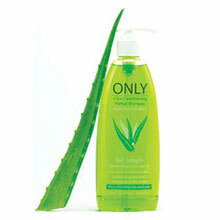 ONLY has developed facial foam product that completely cleans the oily face, eliminating the pimple problems. contain Vitamin C that can help skin brightening. Dry skin caused by imbalance of moisture in skin cell and its surrounding. It is the over dehydration making the skin dry, rough, itchy and wrinkle. 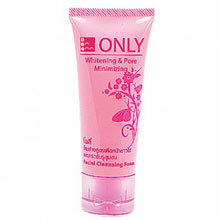 ONLY has developed facial foam product for cleansing and moistening the facial skin. It contains moisturizer that prevents the dehydration of skin cell, making the skin glow, fresh, clean, clear, and touchy look. 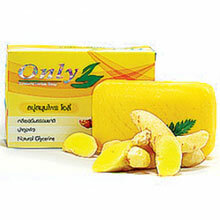 Turmeric soap contains of curcumin that helps to nourish skin smooth and whitening,relieve some skin diseases. Orange soap enriched with Vitamin C and AHA that help reduce acne,black spots and skin imperfections of the face and body. ONLY shampoo product is not only completely clean hair, it also contains moisturizer and many other substances to maintain your hair entirely. There is silicone that coated onto hair making smooth, shiny, and sparkling look. The Pro Vitamin B5 helps recovering the damaged condition and loosing look of the hair to become healthy and firm. The polyquartenium-7 will coat onto the hair, enabling easy setup and combing. And the brown alga extract will perform as scalp care diminishing the itchy. 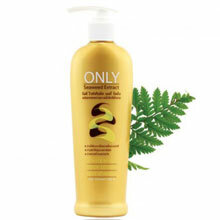 A moisture intensive treatment for hair damaged by sun, heat, saltwater, chlorine or other environmental elements. Nutritive seaweed extracts to help repair and strengthen hair fiber. Panthenol helps increase natural luster. Leaves hair full and healthy.